Buttons of many colors can be seen on hundreds of name badges walking around the 2008 Fuel Ethanol Workshop creating a positive mantra for the ethanol industry. 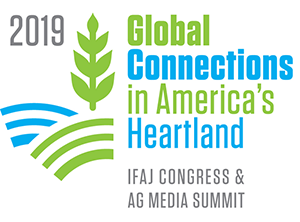 The “Yes Ethanol” buttons are the creation of Lanser Public Affairs, an agency in New Berlin, Wisconsin that specializes in helping ethanol plants with site approval and community relations. 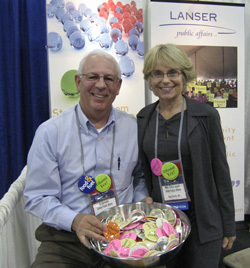 The husband and wife team of Mary Claire Lanser and Al Ogorzalek were handing the buttons out and promoting their services at the expo and trade show. So far, Lanser has helped about a dozen ethanol plants in Wisconsin, Illinois, Virginia and Pennsylvania. Appropriate public affairs strategies have assured approvals, prevented costly delays, and improved the public image for their clients.